My Family & I Would Love To Hear From You! I would very much like to hear from anyone to whom knew Donald and has a story, a memory, a photograph, etc to share. 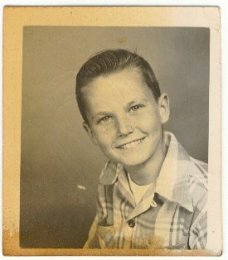 I realize it has been a long time, and this has made it rather difficult, but I am still convinced there are people out there that could help us to add more about Donald to our family history. Again, anyone to whom knows Rick Sorenson, please let him know I am searching for him!! And anyone to whom knows of anyone that was once affiliated with KaMo, please contact me! - more information would be greatly appreciated! Special Thanks to Chris Hall, who located someone to whom knew my uncle. Chris, your kindness and time are very much appreciated! As the craft began to climb, Bill shouted above the noise, pointing to the tiers of white clouds, the blue sky and patches of farmland all framed in the open door. "No matter how many times I see this," he said, "I cant get over how beautiful it is!"